The trend of flipping houses is still going strong. In fact, television continues to glamorize flipping real estate as one of the best ways for investors to make money. And truthfully, flipping a house does have the potential to generate a lot of profit. But there’s a lot more that goes into being a successful house flipper than most investors know. Without the knowledge about how to succeed, you stand to lose a lot of money trying to flip a house fast. That’s why first-time investors looking to flip a house in Minnesota should check out these rookie mistakes other before you have made. Once you know what not to do, you have the chance of making a lot of money and paving your way to financial freedom. The whole point of flipping a house in MN is to generate a profit. The last thing you want to do is overpay for a house that won’t sell for more than you paid. Lastly, don’t let the lack of inventory force you into buying something that’s priced too high. Remember, you have many factors to consider when it comes to flipping a house. Most importantly, you have to consider the cost of rehabbing the house for it to sell at a profit. You don’t want to start out in the red before you’ve even begun working. You can’t just pay attention to the property’s purchase price when looking to flip a house. You’ll also need to calculate what the after repair value (ARV) will be. This is where an experienced professional comes into play if you’re a new investor. A reliable real estate professional will be able to closely estimate how much money it will take to rehab a property. 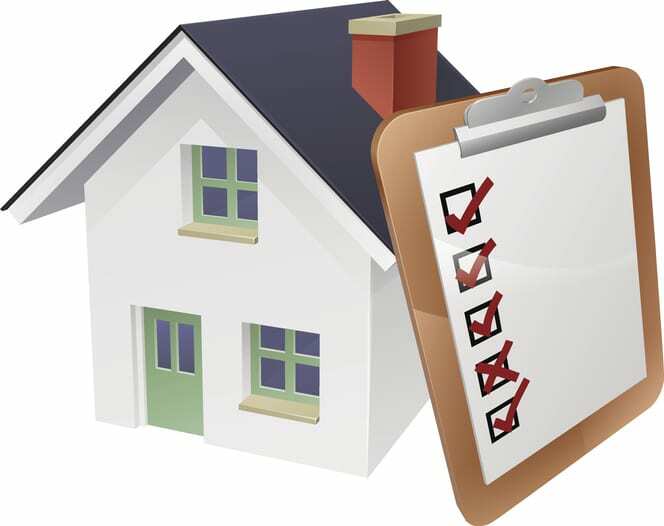 In addition, they should be able to help you determine the property’s after repair value. In other words, you should have a firm grasp on what your flipped property should sell for before you’ve even bought the property. The key here is to always stick to that after repair value, no matter what. If you start adding to the value just because, you could find yourself losing money in the end. Trust the ARV and don’t change it. Following this rule will give you enough wiggle room for unexpected costs during the property’s rehab. In fact, you should expect to get approximately 20% profit (or more!) of every house you flip. However, the only way to make a profit is to stick to your calculations closely, monitor your budget, and not overpay for the property. 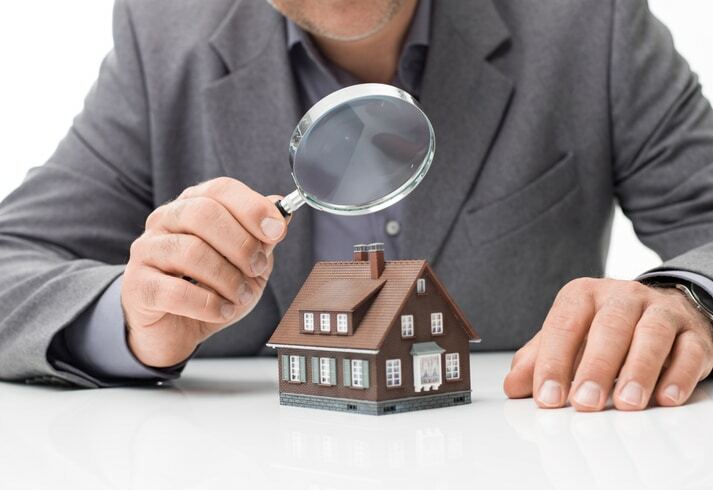 Unless you plan to tear down the entire property and flip it for a profit, you should always get a home inspection before you buy. 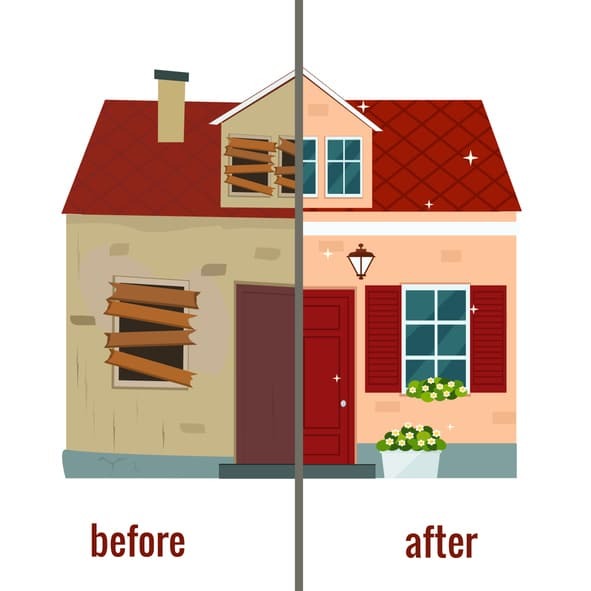 Most of the time when you flip a house, you only make cosmetic changes to increase its value and sell it for more than it was worth originally. If you fail to get a home inspection, make renovations, and later go to sell, only to find out there is major damage, you’re in a lot of trouble. If anything, you can use the home inspection to lower the purchase price since you’ll have to fix whatever pops up as damaged anyway. It’s not enough to buy a property for a great deal and stick to your ARV and the 70% Rule. You can lose a lot of money during the flipping process by overpaying contractors for their help. If you get stuck hiring a contractor that is trying to turn your property into a luxury retreat, chances are you’ll overpay on the rehab and lose profits. Researching contractors that will work as cheaply as possible without providing shoddy workmanship is not easy. But if you want to know how to flip a house, that’s how. Don’t hurt your chances of making a profit by overpaying to rehab the property you want to flip. Instead, perform your due diligence; it will make a world of difference. One of the most important things to know about how to flip a house is that the quicker you do it, the more money you stand to make. If your goal is to make money flipping houses, you have to allocate enough time to do it right. This means you can’t just buy a house and hire some help to fix it up. To start, you’ll need to be actively involved during the entire purchase process. But things don’t stop there. You’ll also need to be involved in the rehab of the property, making sure everything stays on budget and your contractors follow the timeline. Lastly, you’ll need to be actively involved in the sale of the property. The longer the house you intend to flip is in your possession, the more money you lose paying for the mortgage, contractors, and utilities. Make sure you have enough time to give your house flip your full attention. Sure, landscaping can add a lot to your expense list, but if you want to flip a house and make money, you can’t leave bad landscaping for the next owners. That said, a new yard can increase your property’s ARV by as much as 10%, which can do wonders for your profit margins. If landscaping is not something you can afford, don’t buy a house that needs landscaping. Another thing to think about when it comes to re-doing your property’s yard is to not overdo it either. Sure, you‘ll want to increase the curb appeal of your property so it will sell for a profit. But if you over-improve for the area, buyers aren’t likely to pay what you want when it comes time to sell. 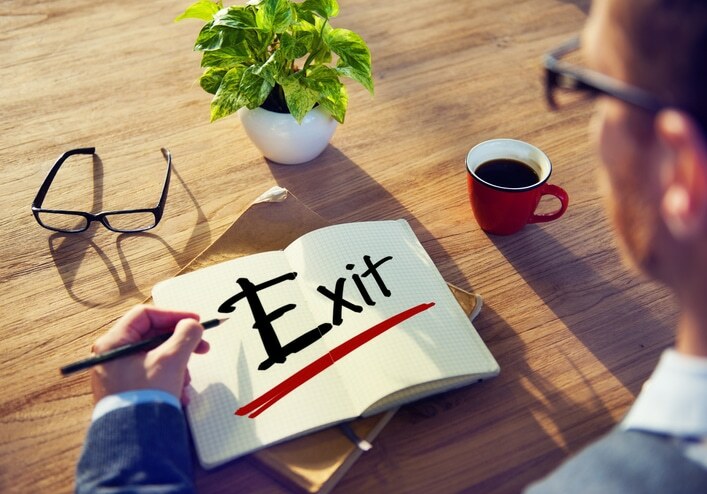 You should never venture into any real estate deal, including flipping a house, without at least one exit strategy in case things go sour. Lease Option. This is when you lease your property to a tenant and include an option to buy the property at a later date in the contract. Sometimes a portion of the rent can go towards the purchase price the tenant will pay when the time to buy comes. As one of the most common exit strategies, this is when you wholesale the property to another investor at a very low price. This helps when you get into a deal you want out of fast. The last exit strategy, if you can’t sell the flipped house for a profit, is to lease it to a tenant until you’re ready to sell. This offsets the costs of the mortgage and buys you time to make a profit later. If you don’t have a backup plan in place, you shouldn’t be investing in a house you plan to flip. As a first-time investor, knowing how to flip a house for profit can be difficult. After all, the television only offers the good aspects of flipping houses, with a few challenges for drama. That said, learning how to flip houses is possible if you take the time to research best practices and common mistakes to avoid. Even better, if you’re really looking to learn how to flip a house in Minnesota, sign up for the “My First Deal Done in 60 Days” Training Program. With this online program, you’ll learn what it takes to find a good property to flip. You’ll also learn how to find the best deals, how to budget for a rehab project and the kind of timeline needed to flip a house for the money possible. So, take control of your dream to become an investor that flips houses for a profit and begin your journey to financial freedom today.